Teeth grinding could lead to other conditions such as damaged teeth, ear ache, and jaw pain. Factors that can increase the likelihood of grinding one’s teeth include; misalignment of teeth, stress, poor sleeping habits, poor diet, poor posture, suppressed anger or frustration. Common symptoms of bruxism include; earache, eating disorder, sore jaws, sensitivity to the teeth, dull headache, and muscle soreness. Minimize your consumption of carbonated drinks and chocolate. Reduce or eliminate consumption of alcohol especially around bedtime. Include exercises (eg. walking or jogging) to your weekly routine. Ensure you stay hydrated throughout the day. Drink plenty of water. Minimize your consumption of hard foods like candies, steak, and nuts. You can do cold or hot compress on sore jaws to help relieve pain. Take time to relax jaw and face muscles, intermittently, throughout your day. Ensure you have an adequate amount of sleep. Valerian root is often used to treat anxiety thanks to its sedative properties. It’s also effective in treating restless leg syndrome, which is one of the contributing factors to Bruxism condition. To treat grinding teeth, put a handful of valerian root in a saucepan, add some water and then simmer for five minutes. Drink two cups of this tea every night. If you have clenched jaw muscles, lavender oil can help to calm your muscles. Also, lavender’s bioactive constituents have a soothing effect on your nervous system. For this remedy, you should mix your favorite carrier oil, such as olive or coconut oil, with a few drops of lavender oil. After that, massage your jaw in the morning and before going to bed. Mouth guard is one of the most effective conventional treatments for grinding teeth. Mouth guards are custom made to keep your top and bottom teeth separate. Plus, they protect your teeth from damage and relieve aching jaws. 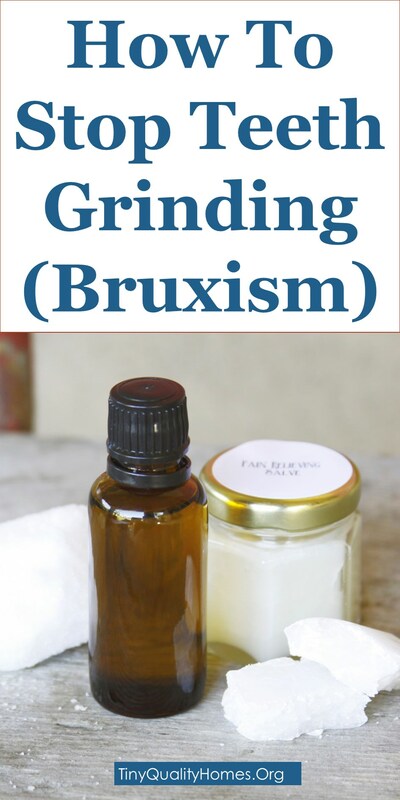 Since they work the same way like those used by athletes, they reduce the noise associated with tooth grinding. To know your right fit, visit your local dentist. Turmeric is rich in anti-inflammatory properties while milk is packed with calcium. When the two are combined, they eliminate allergies and improve the immune system. For this remedy, you should add one tablespoon of turmeric powder in a glass of milk and then heat until it attains a mustard color. Drink the solution one hour before going to bed. You’ll see some changes in two weeks. When you have a tired jaw, you’re likely to grind your teeth at night. This is usually the case for people who are used to chewing gums. That said, you should press a hot towel on your jaw muscles to reduce pain. Just soak a cotton cloth in warm water and place on the jawline for five minutes. Repeat this process every four hours to manage jaw pain. Since bruxism is linked to stress, herbal tea will give a soothing and relaxing effect to your jaws. In most cases, chamomile and peppermint are the best tea options. If you are under stress, you should take a cup of herbal tea right after dinner. Just mix one spoonful of your favorite herb in a bowl of hot water and let it steep for ten minutes. Add some lemon for flavor. Drink 2-3 hours before going to bed. Vitamin C aids in stimulating your adrenal glands which plays a key role in controlling feelings. Apart from that, vitamin C regulates mood and helps you detox your body. When your body is deficient in vitamin C, it cannot produce enough adrenaline which affects the nervous system. While there are many fruits rich in vitamin C, lemon works the best. Just cut a lemon and squeeze the juice in a cup of water. Drink the solution very early in the morning when on an empty stomach. A strawberry/papaya smoothie works well also. When you do this for several weeks, grinding your teeth will be a thing of the past. You can also take vitamin C supplements as directed by your doctor. The best way to deal with a stressful situation is to engage in activities that induce peace. With this in mind, regular exercises will improve your circulatory and immune system. Just take some walk after dinner to relieve stress which might cause teeth grinding. For best results, you can include yoga in your daily routine. This vitamin helps to overcome grinding teeth symptoms by reducing stress and depression. You are more prone to mental stress if you are deficient in vitamin B. In addition to that, you are likely to suffer from emotional breakdowns. Having said all that, the dosage of vitamin B supplements will depend on the age of the user. Children should take 3mg while adults should take 5mg. Consult your doctor before taking any supplement. We all need magnesium to stay healthy. It regulates blood pressure and is great for our bones. However, when you have magnesium deficiency, you’ll experience anxiety, insomnia, and restlessness. If you want to naturally get this essential mineral into the body, you should eat sunflower seeds, almonds, potatoes, spinach, avocados, beans, and bananas. Alternatively, you can take magnesium supplements alongside your diet. While there is no conclusive study on the effectiveness of this treatment, Botox injection is recommended when other methods don’t respond accordingly. The process is considered safe but poses potential side effects. It’s the best treatment if you are experiencing Myofascial pain. Make sure you talk to your doctor for guidance. This is the most natural way of preventing bruxism. You should incorporate some breathing exercises when going to bed to ease the tired muscles. And since teeth grinding happens especially when we are asleep, you should do the breathing exercises one hour before going to bed. When you’re more relaxed, you’ll not experience teeth grinding. Try to combine deep breathing with other relaxation techniques like meditation. The easiest way to combat bruxism is by learning the art of stress management. First, you must identify the factors that are causing the stress. Secondly, have a reasonable sleep-wake cycle that will improve the overall quality of life. Furthermore, you should minimize the intake of caffeinated drinks and alcohol. 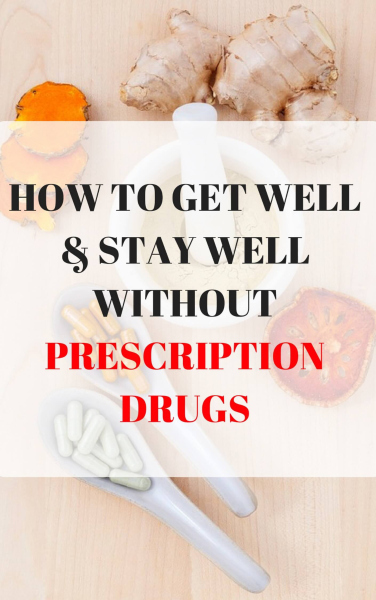 It’s crucial that you ask your doctor to recommend the best antidepressant pills for you. You don’t necessarily need a chiropractor or a physical therapist to perform jaw exercises. These are mainly simple routines that you can do on your own. One of the most effective exercises is not to allow your teeth make contact. Alternatively, you can open and close your mouth while placing your thumb underneath the chin. You should perform these exercises as many times as possible. Muscle relaxants are not as effective as other natural treatments but will provide some temporary relief. If you have bruxism, ask your physician to recommend some muscle relaxants you could take before going to bed. As a general rule, you should try other treatments before you try this remedy. Some muscle relaxants may have adverse side effects. A gentle massage helps to relieve stress by relaxing your muscles. It works by reducing the tension on the muscle fibers, especially if you’ve been chewing for a long time. To eliminate unconscious jaw clenching, dip a cotton cloth in hot water and gently massage your jaws including the neck. Use this remedy a few hours before going to bed. Researchers believe that you can combine splint and behavioral therapy to achieve better muscle relaxation. This inter-disciplinary approach can also help you to learn how to position your jaw and mouth. The process works best if you are patient. If the teeth grinding is as a result of poor alignment of your teeth, they can be corrected without posing too much damage. Unlike other conventional treatments, teeth alignment may give a long-term solution. Your dentist may recommend oral surgery, crowns, or braces. He or she may also consider reshaping of the chewing surface. Several studies have shown that bruxism is not necessarily caused by an underlying condition, but it’s behavioral. For this reason, experts recommend complementary techniques, such as biofeedback, that shows how to control muscle activities. So far, these methods have proven useful in both awake and sleep bruxism.